These are the voyages of the starship Enterprise. Its continuing mission: to explore strange new WORDS, to seek out new grammatical constructions, to boldly go where no one has gone before. You may also see examples of prepositional phrases. The English language is composed of plenty of grammatical constructions. There are so many that we could not even tell one construction from another. And many of these have become rules due to its constant use for the past decades, and for long history. One of these is the split infinitive. 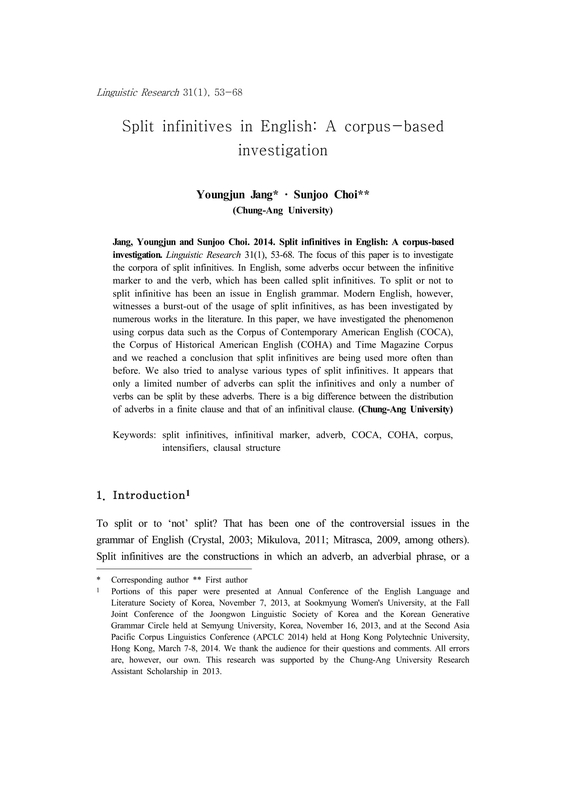 So what is a split infinitive grammatical construction? You may also like what is a sentence fragment? 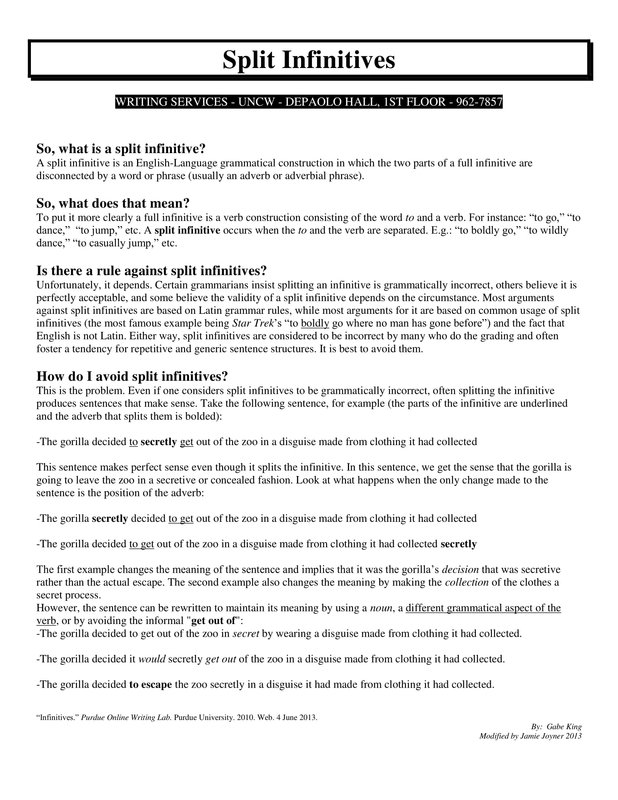 A split infinitive is a grammatical construction in English in which an adverb or adverbial phrase is inserted between the to and the basic verb form. Such as in this example of infinitive, to eat. To form to eat into a split infinitive, you can add an adverb, for example, barely, so that you will have, to barely eat. You may also see direct object worksheet examples. But before getting deeper into what a split infinitive is, let us first study what infinitive means in the English language. An infinitive in the English language is the basic form of the verb that is not used with inflection except for the preposition to before it. For example, to eat, to sing, to breathe, to play, to write. So if you see this to + verb pattern in a sentence, you know that is an infinitive. You may also like clause examples. An infinitive looks like a verb, but it is not a verb. It can be used as, noun, adjectives, adverbs. But it is never a verb. Let us see some example of infinitives in different uses. To love is the only thing that matters in this world. To eat is essential as human being. Here, we have (to love, to eat) an infinitive being used as a noun – subject, in the sentence. Here, we have (to eat) an infinitive being used as a noun as direct object of the verb wants. You may also check out subordinate clause examples. This is the best time to start. The greatest comedian to live is no other than Dr. So and so. Here is an example of infinitive used as an adjective. 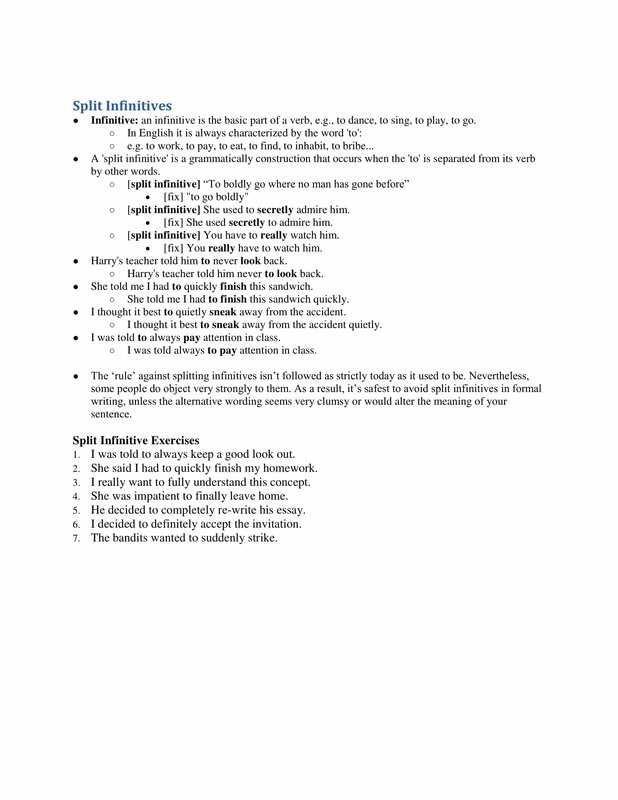 The infinitives to start and to carry modify time and heavy, respectively. To live modifies comedian. You might be interested in pronoun antecedent examples. He breaks the window to escape. Mrs. Robinson breathe to live. Here, both to escape and to live modify the verbs breaks and breathe. Don’t they sound confusing? Yes, they do. In order to escape, he breaks the window. In order to live, Mrs. Robinson breathes. It may be confusing to identify if the infinitive is an adjectival or adverbial, but it is always easy to tell if it is infinitive, when it has that patter of to + verb. BUT in some cases, an infinitive may not require a to to form an infinitive. It loses its to when (it is) preceded by the verbs such as in the following: watch, see, make, feel, hear, let, and help (among other examples). You may also see simple sentence examples. He needs some friends assist him. That is basically all about the infinitives. Now the question is, to split or not to split. Grammarians do not encourage split infinitives. But language is language. It is part of one’s culture. Language is the model of how dynamic one’s culture should be. No matter how you make rules on syntax, on the grammar, if something that is not conformist to grammar becomes a habit, it will become part of the grammar. So while some consider split infinitives as error, others consider it as grammatical construction. You may also see how to write short sentences. The concern of split infinitive as grammatical construction or error has not been resolved. The current trend goes that one should consider what kind of writing style one is into when deciding to use (split) infinitives. So if you are into formal writing, avoid split infinitives. But in some cases, you may use it for conventional writing. 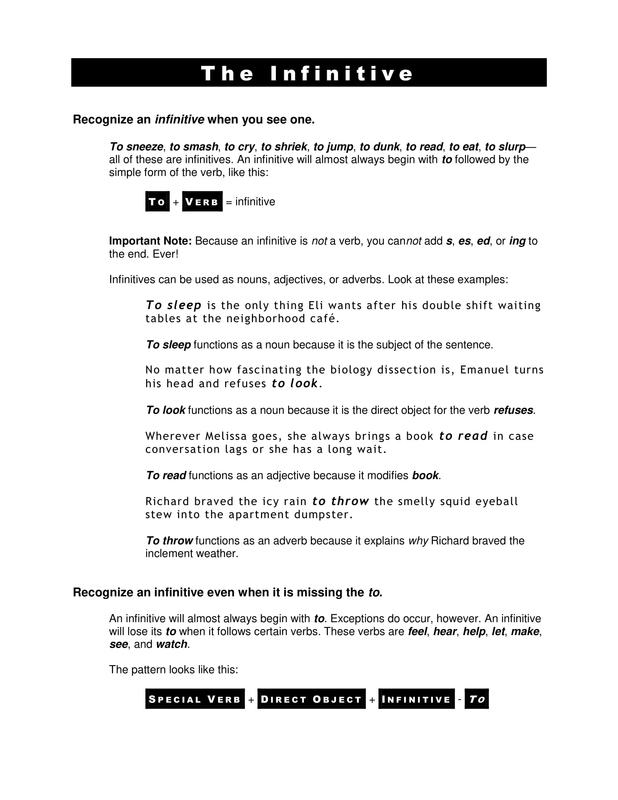 You may also like balanced sentences usage and examples. But it seems like there is actually no rules in grammar, there is just a trend such as a fashion trend. When an influential person makes a mark, it does not matter if he has violated some rules, people will follow and imitate him. And eventually, the said mal- practice becomes a standard. You may also see examples of oxymoron in sentences. The famous opening ling of Star Trek, to boldly go, is famous example for somehow not following the conventional use of infinitive. We hear and see it every time a Star Trek movie opens. But it also seems like there is no better way of saying it. Do you want these variation instead: to go boldly, or to boldly go? Well, there is nothing wrong with either of the two. But is it as effective as the original? That is yours to ponder. But we are faced here with the dilemma of how to use the infinitives properly, but at the same time how to deliver our message effectively. You may also like preposition sentences examples. Ah, that is very eargasmic. It sounds just perfect, and it sounds beautiful. There is some artistic in it. There is a grammatical compromise, though. It is like a song. You sometimes do not care about its grammar. You just want to feel how it sounds to your ears. You may also check out complex sentences definition and examples. It was not until the 1800 that the rule of split or cleft infinitives appeared. Let us review some literature on the struggle of splitting infinitives. As constantly happens in the history of language, the old order of things is changing. 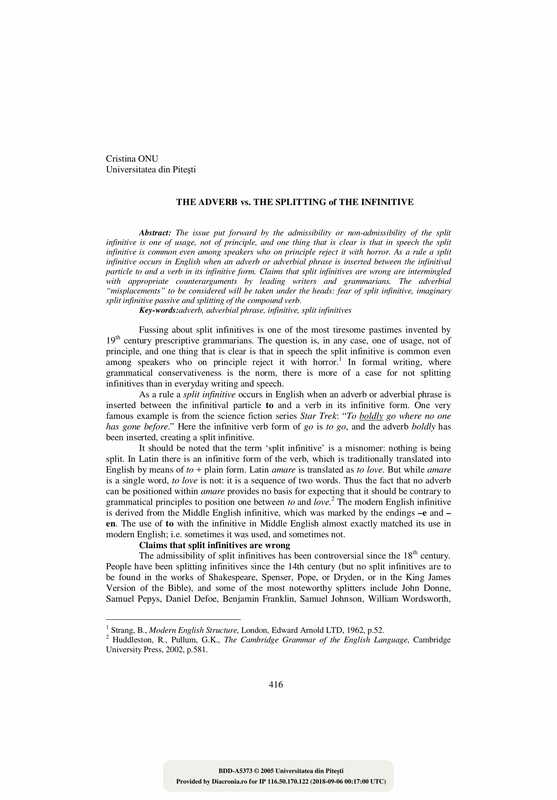 … The practice of inserting an adverb between the infinitive sign and the infinitive has steadily increased during the last hundred years, and goes on increasing still. You might be interested in complete and incomplete sentences examples. The wrongness of the split infinitive is about as old as English itself. It dates back to about 1500 or something, and is based not on Latin but the fact that English is a German language, and you don’t split the infinitive in German beginning with “zu”… You may also see examples of onomatopoeia in sentences. The split infinitive was not even used in 1485, Shakespeare never used it. It was never used until the 19th century, when Fanny Burney wrote her whole lot of books where she always split her infinitives. Nobody sort of took her line on it, and it has been absolutely regarded as unacceptable ever since. And not because it’s an arbitrary rule … you split an infinitive, you’ve made a mistake. … You may also like exclamatory sentence examples. Grammar is a science which has been identified century after century by grammarian after grammarian, and they’re all agreed on what the science is and there’s always a good reason for any particular rule, and that is why that rule is stuck with. You may also check out compound sentence usage and examples. For example, in the sentence, Do you want me to talk? This is to some extent an infinitive, as if there is not other way of saying it. But how about in this sentence, You’ll never make me talk! The Oxford Guide to English Grammar is clear when it says, “Split infinitives are common usage, although some people regard them as incorrect. In general, it is safer to avoid them if you can, especially in writing” Also, it mentions that, “to show that the adverb modifies it, for example, The medical institution is planning to subtly test a new and more powerful poison. 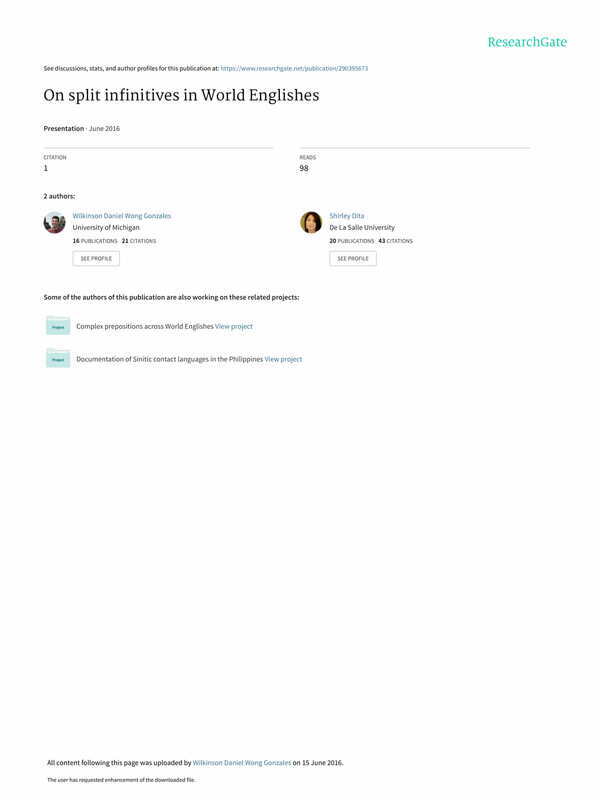 This is as good as saying that the test is subtle (not just the plan)” You may also see bridge sentences types and examples. So the fight is even getting harsher, are we saying there is no need for infinitives? But language is a convention. We only say what we have been used to say. We only say the things we grew up as kids. We learn language not from a grammar book, but from our ordinary conversations with the people around us. 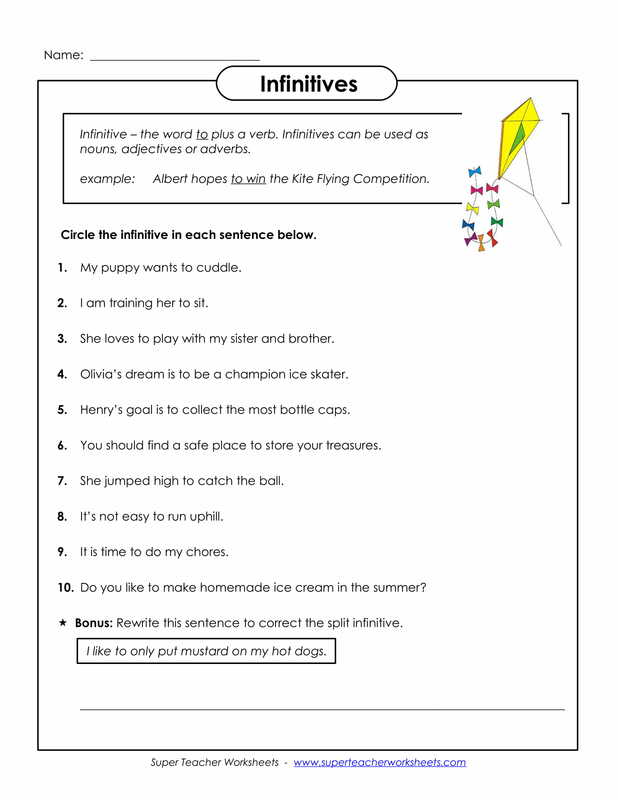 You may also like run-on sentences examples & corrections. The use of split infinitives throughout history is overwhelming. The numbers of writers who makes use of split infinitives are too many to count. But whose side should we follow, the grammarians or the writers. Remember that grammarians will base their rules from the works of the writers. The concern heats up as there are also grammarians who defend the use of split infinitives. You may also check out cumulative sentence examples. More than that, some grammarians like Otto Jespersen and Charles Talbut Onions would purport the use of split infinitives for reasons that it will give clarity to the sentence, by showing at once what word is qualified by the adverb. This will avoid ambiguity. You might be interested in imperative sentence examples. We can not not blame grammarians for keeping the fight on the use of split infinitives. Cops are cops. The role of grammarians is to be grammarian, to study grammar. Our role is to drive our message clearly, regardless whether we use a split or not. An ice cream with a split banana is the same as the one whose banana is not split. Unless it matters to you. You may also see interrogative sentence definition & examples. 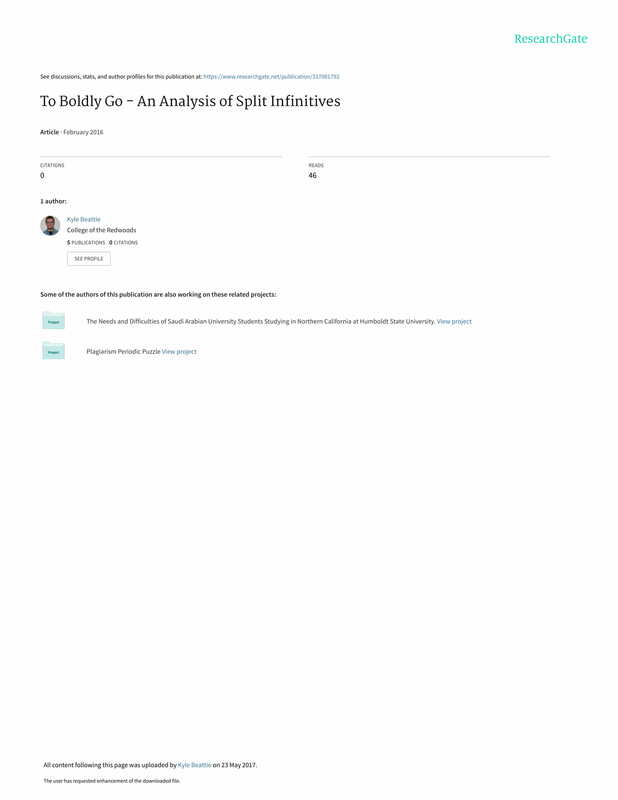 But whatever the status on the rule of split infinitive is: some say that there really is no rule, some say that there is, it is better that we try to minimize the use of it. Use it only when necessary. Use it with a purpose, not to decorate, not to add flowers to your sentences. Because if all you do in your sentences is to have split infinitives, if all your infinitives are split infinitives, and when it becomes an obsession, then that makes your writing awkward and monotonous. You may also like periodic sentence examples. So from time to time, you add some split infinitives, and sometimes just an infinitive. Or sometimes, just skip the use of infinitives. These are just a means of making your writing as interesting as possible. Going back to Star Trek’s to boldy go, it was never meant to really add flowers to the narration. It was with necessity, as if there were no other options. And it was very effective. And even until today, the phrase has become iconic, to some degree, in a negative sense, and to some, in a positive sense. 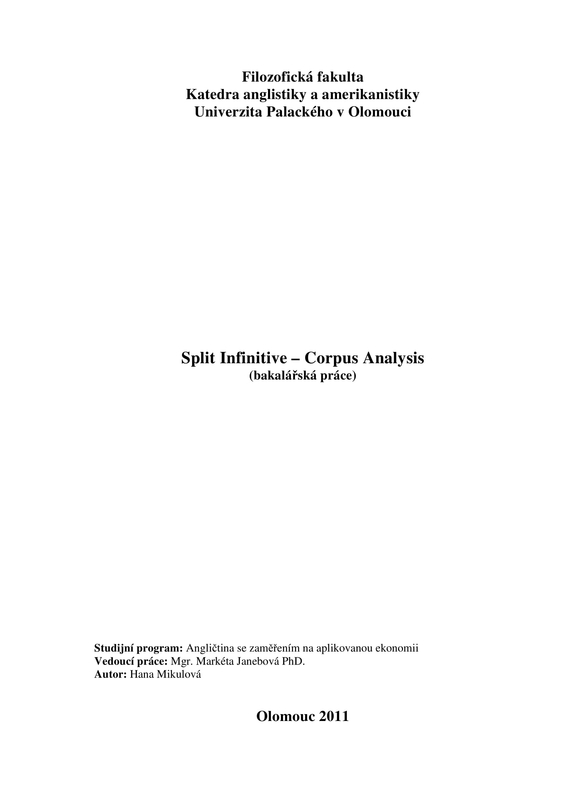 It created a noise among grammar scientists, so much so, that has always become the menu when talking about split infinitives. You may also see parallel sentences structure and examples. The first of these factors is the compelling urge of man to explore and to discover, the thrust of curiosity that leads men to try to go where no one has gone before. Most of the surface of the earth has now been explored and men now turn to the exploration of outer space as their next objective. Thanks to Star Trek. You may also like declarative sentence definition & examples.